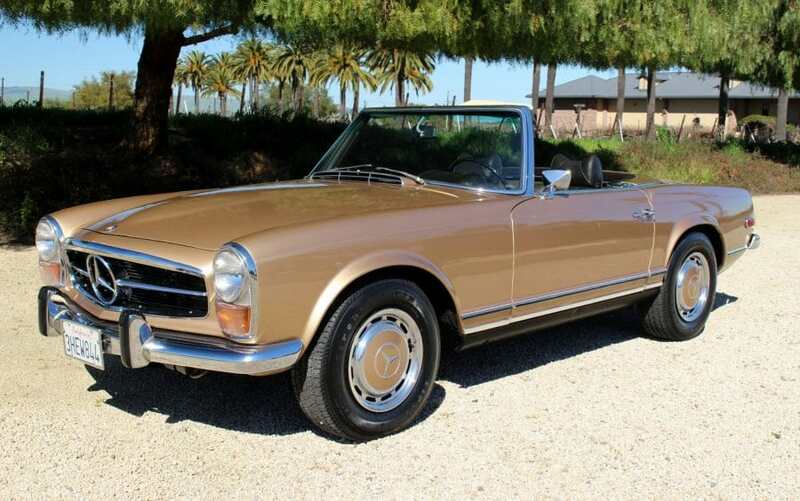 1971 Mercedes 280sl Pagoda Roadster, garaged California car in excellent condition: Low miles, numbers-match, factory floors, zero rust, decades of service records. Last and best year of the Pagoda in a rare desirable color. Beautiful condition in and out, runs and drives superb. Always garaged and meticulously serviced, owned by a SF executive for the past 25-plus years. Lots of documentation. We go to great extents to document our cars properly in pictures, and we have the most transparent listings on Ebay. Please study the pictures carefully because we prefer not to explain cars in writing or phone calls, too much room for misunderstandings.